Home > Categories > Real Estate > Home Builders > Bob Cook Homes, LLC. 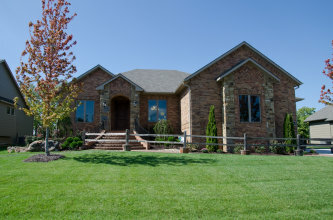 With a focus on quality, personal service and attention to detail, Bob Cook Homes, LLC, has been serving the custom building needs of greater Wichita since 1977. Our firm offers excellent communication and professional management, from the design phase to the constructions stage, from move-in to warranty service. Bob Cook Homes believes in the importance of family and understands your home should be a reflection of your personality and lifestyle. Our team is not satisfied until you are satisfied! Wish you could have a beautiful home filled with your own custom touches, but not ready to buy a new house? Trust one of the area's most widely respected, award-winning home builders to remodel your home. Bob Cook Homes can bring new life to your existing home by guiding you through the remodeling process. We are here to help you make the most effective and quality improvements to your home.